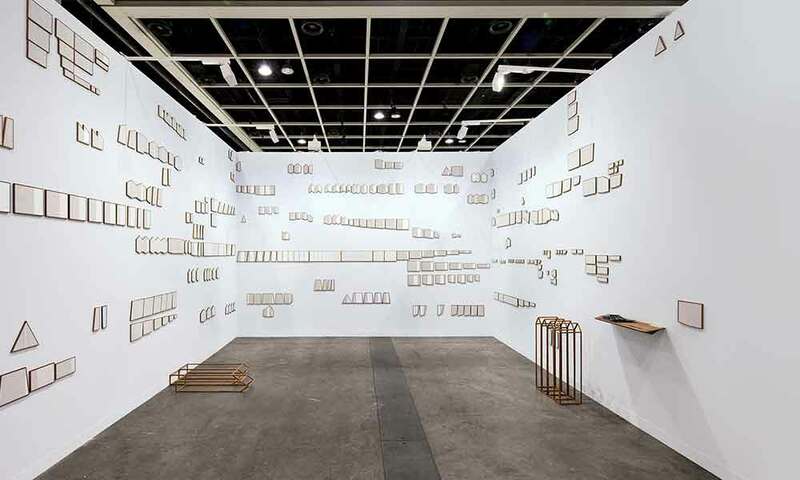 The Gujral Foundation presents ‘In the Absence of Writing’, A Solo Exhibition by Astha Butail will be held on 2-28 Feb 2019 at 24 JorBagh. The Gujral Foundation will be presenting Astha Butail’s solo exhibition In the Absence of Writing at its experimental site 24 Jor Bagh in New Delhi. The project is a culmination of the artist’s year-long journey in researching memory and living traditions that are passed on through teachings and oral poetry, with a focus on Zoroastrian Avesta, the Jewish Oral Torah and Indian Vedic philosophy. As a multidisciplinary artist, Butail trained in textile design and has studied Sanskrit. She uses geometry, cultural systems and oral traditions as metaphors to respond to her research. Drawing parallels between traditions, she presents her journey through abstracted hymns from the Rig Veda and varied mediums; video, sound, sculpture and experiential installations invite the viewer to an interactive exploration of cultural values, lived spaces and notions of time. Butail received BMW’s Art Journey award for her research in 2017-2018. The upcoming show is curated by Reha Sodhi and will include new works, as interventions in the space at 24 Jor Bagh, commissioned by The Gujral Foundation. I hope you'd be interested in listing the exhibition. I have enclosed a few images for your reference as supporting imagery for the text.